Enjoy intimate gatherings, advanced tastings of our newest selections, exclusive library offerings, celebrations of Spanish culture, and more. See you soon! Back by popular demand, this fan favorite event is held inside the Audi Legends Box, located on Club Level. 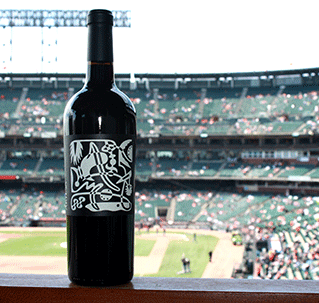 Watch the San Francisco Giants take on the Los Angeles Dodgers in your luxury suite while enjoying an all inclusive meal paired with Artesa Chardonnay and Pinot Noir. Sit back and relax with your Artesa team! If you would like to be added to our waitlist, please email us or call 707 224 8309. WHY WAIT UNTIL THE NEXT EVENT? Purchase Your Favorite Wines Now!